Having a feline pet in your home keeps loneliness at bay. It’s all fun and sweet until you have to clean after their stinky poop. With the creation of litter boxes that are specifically made for cats, your buddy can have an exclusive place for him to do his business. Poop tracking, collection and cleanup are made easier with the help of this product. Nowadays, litter boxes come in different sizes, colors and features. Litter boxes with lids are beneficial for odor control. However, some may be more efficient than others in reducing the odor from the cat’s feces and urine. In this review, you’ll find out if Clevercat’s Top Entry Litterbox is among those that are more efficient in odor control. You’ll get to know more about the pros, cons and proper use of the product. The 20 x 15 inches removable lid of Clevercat’s Top Entry Litterbox fits snugly but you can uncover it effortlessly when you have to get rid of the collected poop and pee. The large opening of the box when uncovered makes it easy to scoop out the contents and wash the box. You can line the box with bag for faster cleanup but this is just optional. At four pounds, the litter box is lightweight, making it highly portable. You can bring it to your workplace or your friend’s home without much trouble. Owing to the heavy-duty materials used for the box, it can even hold poop and pee weighing as much as the box itself. As long as you properly train your pet on how to sit when pooping and peeing using the Clevercat’s litter box, you don’t really have to worry about spills. All the feces and urine will practically go down the hole and unto the bin. This is a great time-saving feature as you don’t have to scrub and wash spills on walls and floors. If you have a pet dog along with your pet cat, the said litter box may also be advantageous for you. The reduced odor from the litter will minimize the risk that your canine buddy will scour the box, scatter the poop and worst of all, munch over the litter. Although Clevercat’s Top Entry Litterbox has sizable bin, it is not a good idea to let the poop accumulate for more than 2 days. As much as possible, you have to empty it every single day. This can be a problem if you have to go on a trip that takes several days. However, this can be remedied by asking a family member, a friend or a neighbor to look after your pet for a while you are on a trip. If your feline buddy is large, elderly or disabled, this litter box will not be the most appropriate for you. Due to his age or disability, your furry friend may find it hard to climb and sit properly on the litter box. If he is large, the removable lid may not be able to carry his weight and thus, may damage the said lid. Inspect the parts once it arrived to your home. If you are going to use a bag liner, separate the lid from the bin. Insert the bag liner and secure it properly before putting back the lid. Place the litter box in a corner. Avoid putting it near the kitchen or your kid’s play room if you have a kid. While you are still on the process of potty training your pet, cover parts of your walls and floors surrounding the litter box. Once he is well-trained, you can remove these covers. 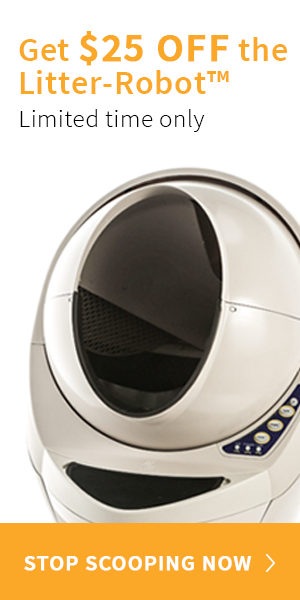 Clevercat’s litter box mostly earned 5 stars from numerous customers. They claimed that it lived up to expectations by minimizing and even preventing their pet cats from pooping everywhere in the house. With a designated defecating and urinating station, tracking their waste was no longer a challenge. Some buyers only gave the product a 3-star rating though. They complained about the litter box not being able to totally eliminate the tiny poop tracks spread around the house by their pets. Clevercat’s Top Entry Litterbox is cleverly made but it may not be the best option for you if you have multiple pets, or if your pet cat is disabled, elderly or heavy. However, if you have a small- or medium-sized feline for a pet and if you have the patience to train him, this litter box kan turn out to be a great addition to your household.